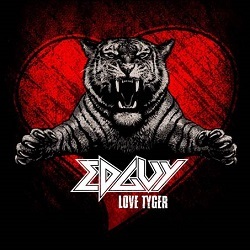 Hot News: Edguy – first single »Love Tiger« available now! On April 18th the new EDGUY album »Space Police – Defenders Of The Crown« will be released (UK April 21st, North America April 29th). Get the first track of the new album now! »Love Tyger« is available as download single in all digital online music stores such as Amazon, iTunes etc NOW! EDGUY have been also confirmed to perform »Love Tyger« during the walk-in of world champion Arthur Abrahamwho’s gonna be having a boxing fight with Nikola Sjekloca at the Velodrom in Berlin on May 3rd. Match and performance will be broadcast live on German television, on the national channel ARD. Hot News: Edguy – Announce »Space Police World Tour« and get in the ring! Hot News: Edguy – “Sabre & Torch” Lyric-Video online! Hot News: Edguy – »Space Police – Defenders Of The Crown« – more details revealed! Hot News: Edguy – tracklist of upcoming new album »Space Police – Defenders Of The Crown« revealed! Hot News – Edguy: Special Guest Of Deep Purple! Hot News – Edguy: Video Clip Of „Robin Hood“ Released! Hot News – Edguy vs. Robin Hood!